This time the spotlight will be shining on Hyphen, a brutally difficult neon-bathed rotational racer (no, really)! Let’s see if we can’t help it escape the cold emptiness of Greenlight limbo, eh? Hyphen is a must have addition to any puzzle/action game lover’s collection. Navigate a rotating stick through intricate and fiendish neon mazes while trying to avoid the walls, obstacles and various traps throughout. Although it sounds extremely simple, it’s fun and infuriatingly challenging at the same time. Coupled with an awesome soundtrack and gorgeous glowing visuals this game will blow your mind in more ways than one. Hope you’re in the mood for some raging, because only those with incredible skill will be able to navigate the maze-like corridors of Hyphen safely. Difficulty aside, it’s certainly a fun game, and one that’ll likely keep you coming back from more after each failed attempt. The most fun, original or just plain annoying aspect, is that the hyphen – that’s you – constantly spins. This can and will get you killed repeatedly, because any and all solids are lethal to the touch. Not just the turrets or other hazards present – walls too! But like I said… those with incredible skill. Practice. Perfect. Something. So riddle me this, dear reader: why is Hyphen still struggling to get through Greenlight? It’s been out for a while (since May, 2014), so availability certainly can’t be the reason. Might I recommend visiting its Greenlight page and handing over a ‘yes’, if you like what you see? Remember: your vote matters! 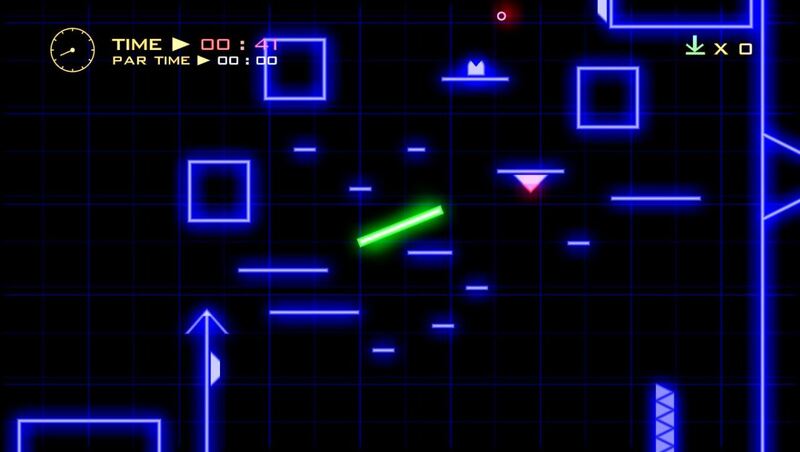 Hyphen is available for Windows from Desura ($6.99), Green Man Gaming ($6.99), Itch.io (£3.99), Get Games ($6.99) and via. Humble Widget ($6.75), without any kind of DRM.